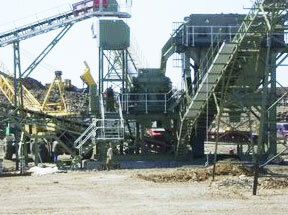 We are pround to introduce our HCS90 series cone crusher as the newest cone crushing equipment. From improved product quality to higher throughput capacities to the lower operational cost, HCS90 cone crusher will be your better choice when choosing cone crushing equipment. HCS90 cone crusher features newest and ranks top among cone crushers. With advanced crushing technology, it gives customers high performance crushing capable of handling sand and gravel, shot rock and recycled materials. This cone crusher is designed consummately which combined the crush stroke, crush speed and feature of crush cavity. Therefore under the same moving identical cone big end diameter condition, its output will be higher than that of spring cone crusher by 35% ~60%. Also there will be special computer controlled, remote adjustment which means less downtime and more tonnage. As a global manufacturer of mining crushers and spare parts, SBM has always been supplying quality crushing and screening equipment. We have extensive knowledge of all aspects of structural fabrication and site installation, common wear parts supplying, maintenance work training and the most up to date site safety regulations and procedures. The Aurora phosphate operation is located at Lee Creek in Beaufort County, North Carolina, USA. The largest integrated phosphate mining and chemical plant in the world is wholly owned by the Potash Corporation of Saskatchewan (PotashCorp). The mine has the capacity to produce 6.6mt/y of phosphate ore, 1.3 mt/y of phosphoric acid and 0.2mt/y of phosphate feed. Our minerals crushers (especially our HCS series cone crusher), grinders, screens and conveyors play essential role in the production process at PotashCorp, especially in the phosphate crushing grinding process. "In our phosphate processing plant, we are glad to cooperate with SBM Mining and Construction. It's a very promising company." The Central Ashanti gold mine is located approximately 57km south-west of Obuasi town and 195km north-west of Ghana's capital Accra. It is owned by Central Ashanti Gold Limited, a wholly owned subsidiary of Perseus, which owns 650km² of tenements on the Ashanti gold belt. 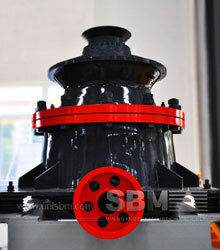 In the gold project, SBM provided HCS cone crushers and mill for gold crushing grinding. With many years' cooperation of high quality products and perfect services, the project's life is estimated to be approximately ten years. "We are glad to select SBM's Crushers and Mills in our gold project. I really appreciate the sincerity of the company's co-operation. "